The Multi Ticket update introduces a fundamental change to how Ticket Tailor issues tickets and opens the door to a number of new possibilities of what you as an event organiser can do with the platform. If you signed up after May 31st 2018 then this update will already be in place on on your account. If you have been notified that this update has been activated on your account then this will apply to any new events that you create. If you haven't got the update yet but would like it, please just contact us. When a ticket buyer purchases a number of tickets in one order we would send an order confirmation email that contained one ticket code. The one ticket code was a reference to what tickets the buyer had ordered and this would show up on the doorlist or the app. Confusion about how to manage attendees arriving at different times. Slow scanning check-in on the app due to having to scan and then select which tickets are being used. 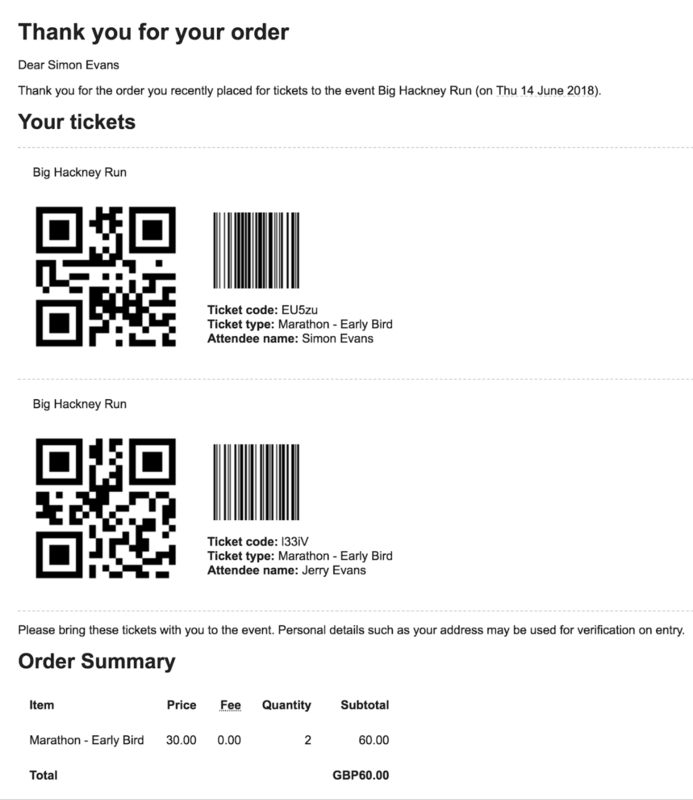 Tickets weren’t compatible with 3rd party or in-house scanning systems. Impossible to void an individual ticket on an order without cancelling the whole order and creating a new one. What does the Multi Ticket update do? 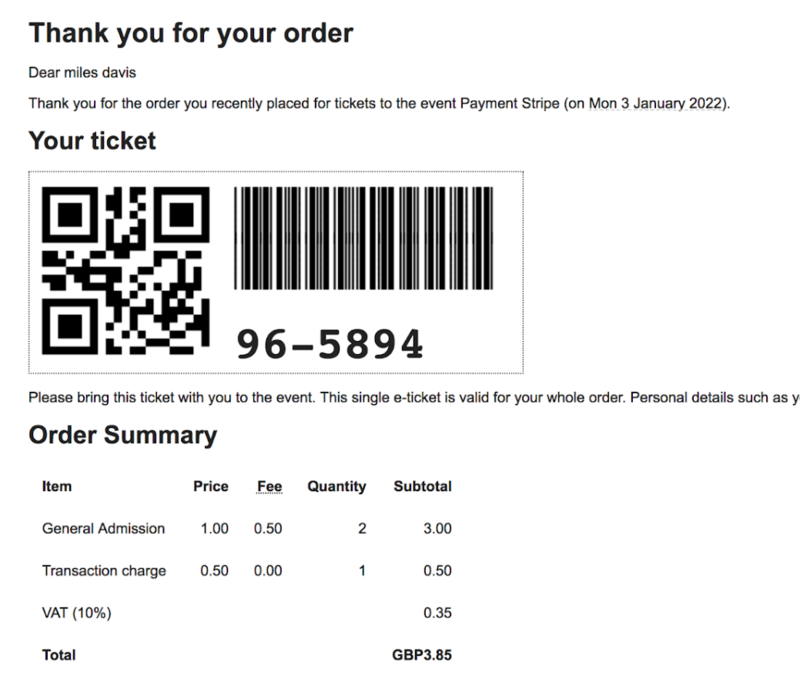 With Multi Ticket, when a ticket buyer purchases a number of tickets we still send an order confirmation email to the ticket buyer but it contains an individual ticket code for each ticket purchased. So if someone purchases 5 x General Admission tickets and 3 x VIP tickets they would receive 8 ticket codes. These are represented as perforated vouchers so they can be physically distributed by printing and cutting along the dotted line, or the customer can copy and paste the individual vouchers to distribute them via email. Faster scanning - no need to tap after scanning a valid ticket, you just scan and if it’s valid you will hear a ding and see a green confirmation message, and if it’s invalid you’ll hear a buzz and red message. Custom form data - see the responses to any custom form questions you had set up directly from the app when looking up a ticket. For example if you asked what T-shirt size attendees are to give each person a T-shirt when they arrive, this information will display when looking up the ticket. All your events in the app at once - no need to reconfigure the app for every event. User management - set up your door staff with their own access code and control what events they can view. Advanced filtering and sorting - see a list of who has checked in, or who is still to come. What are the other benefits of the update? This update not only makes it easier for your attendees and door staff but it brings a number of improvements to your admin panel too. You can now void individual tickets on an order without having to cancel an entire order. Learn more in our help center. Collecting individual attendee names, rather than just the ticket buyers name is much easier now. Learn more in our help center. How do I get the Multi Ticket update? If your box office was created after May 31st 2018 then you will already have Multi Ticket activated. If not, then please contact us and we will activate it for you. Once the update has been activated it will apply to any new events you create from that point on. Any events created prior to enabling it will still work in the same way as before. What has changed in the admin panel? You will notice some changes in the admin panel once the Multi Ticket update has been activated for your box office. Check-in app in the main navigation. This makes it easy to access the information about the Check-in app and manage the users who can access your data on the app. New doorlist section in the event navigation. You can browse the attendees for your event from a new section called Doorlist. You can also download a PDF or CSV just as you could before. You can click on an attendee to see more details, print their individual ticket, or void their ticket. Minor changes in the order confirmation email. To accommodate multiple tickets in the order confirmation email, we have updated the default message. We recommend that you review your order confirmation message to make sure it looks as you would expect.